I got to know Raimey last year during the Nano blog and social media hop, which I most probably found on Twitter. It was a great experience to get to know a lot of interesting writers and also to get myself a small but steady follower base. Later I found out that Raimey also had a list of blog hops, (You can find it here) where I found some other awesome blog hops I immediately joined, most notably #AuthorToolboxBlogHop, Storytime Blog Hop and Weekend Writing Warriors Blog Hop. I invited Raimey to talk a bit about writing, blogs and blog hops. Hello, Raimey and thank you for stopping by at my blog! 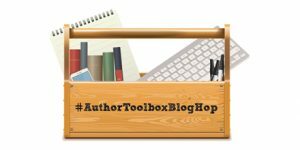 What is the #AuthorToolboxBlogHop?It’s a blog hop for authors who want to learn more about being authors. We blog the third Wednesday of every month within the general theme of ‘tools for authors,’ and then we all hop around to each other’s posts and leave comments/share on social media. It’s fun, and I always learn new stuff. How did the idea of the Nano blog hop come to your mind? 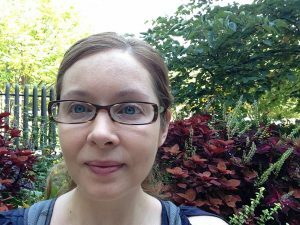 In October 2016, I was plotting my NaNoWriMo novel, and I saw an opportunity to provide budding authors with the platform to support one another in an ongoing way. Last year’s #NanoHop was less of a traditional hop and more of a follow-for-follow initiative. Four-hundred NaNoWriMo participants joined my ‘hop’, and in December 2016, we followed each other across social media and blogging platforms. It was a huge amount of work, because I also sourced donations of editing prizes from established professionals. How long have you been writing your blog and what are some of the most important things you have learnt? I’ve been blogging at com for about a year and a half. What I’ve learned is that my intuition was correct: you are more likely to gain an engaged following in a relatively short amount of time if you A) provide value-added content and B) reciprocate when people are nice enough to like and comment on your blog posts and share/re-share them on social media. How do you think having a blog and an active social media presence can help a writer? The online writing community provides newish authors with the support they can’t get from real-life family and friends who mean well but who don’t understand how lonely this journey can be. Also, a blog and social media presence is the cornerstone of an author’s future book sales efforts. Lay it early. You are a writer yourself. What kind of stories do you enjoy crafting? I write twisty thrillers and mysteries mainly, though I did recently pen a science fiction story, which is way out of my wheelhouse. Thank you very much for your answers and good luck with your writing and blogging! Yea! Thanks for interviewing me, Fanni!